Bronx, NY Crotona Senior Residences, developed by HELP USA and SAGE, has broken ground, celebrating the first LGBT-friendly, low-income senior housing in the borough. The 84-unit apartment building will reserve 26 units for seniors who have been homeless. The $41.4 million development aligns with New York State’s five-year Housing Plan to provide safe, affordable, and accessible housing while combating homelessness. 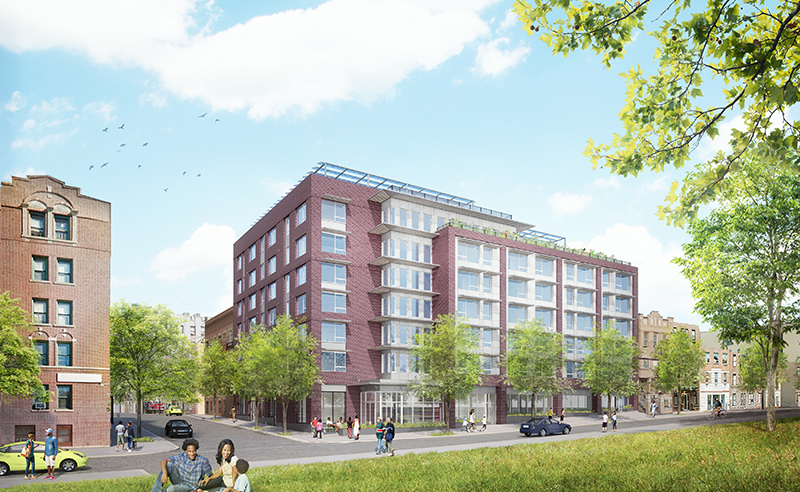 The development is across the street from Crotona Park and will feature an on-site SAGEcenter, social services, rooftop terrace, community garden, energy efficient construction, and renewable energy. The project team includes: General contractor, Procida; architect, MAP; and MEP, Johnson & Urban. Bright Power will help ensure long-term sustainability at Crotona Senior Residences. Integrating with the teams early on in the design phase, Bright Power is providing Enterprise Green Communities (EGC) Certification services, design and installation of a 90kW solar PV system, commissioning (Cx), and NYSERDA New Construction Program incentive procurement and services. • Office of the Bronx borough president Ruben Diaz, Jr.